The FUTURE of the Culdaff community defibrillator is at crisis point and facing the possibly of having to reduce it’s service, if the group cannot attract more volunteers. 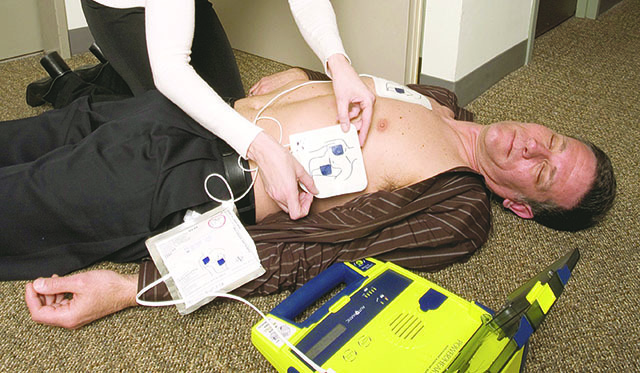 People living in the parish of Bocan are being urged to attend a make-or-break meeting to ensure that the area’s community life-saving defibrillator is sustained. The Bocan branch of the Irish Red Cross have called the meeting, which is due to take place next Thursday, September 4, as the number of defibrillator volunteers in the parish has fallen, meaning that the group is at ‘crisis point’. Martin Conlon, a serving Inishowen paramedic and qualified trainer of the defibrillator, says it would be a terrible shame for the area to lose the live-saving equipment in Culdaff. For the past four years members of the Bocan Red Cross defibrillator group have been called to the scene of every emergency in the Culdaff and Gleneely area by the ambulance service. Previously there have been defibrillator groups in Malin Head and elsewhere in Inishowen that were connected with the Ambulance Service, but due to lack of volunteers that service fell by the wayside. Martin is hoping that a similar fate does not befall their group.